In future, keep in mind that being passive-aggressive and vague is not helpful in resolving issues, nor is using irrelevant topic titles. When I pulled up “unsecured site” security message on my end, it appeared that the issue was that the site was still linking to http domains. This has been fixed. 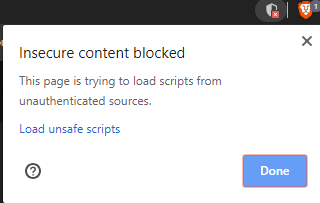 I am assuming that is the same issue causing your own “unsecured site” security message. If it was something else, please post about it again! I am assuming that is the same issue causing your own “unsecured site” security message. If it was something else, please post about it again! I fixed the issue when I replied to this topic a day ago. If you were still having issues, then yes, do post again. Evidently what I did fixed your issue, so no, you don’t need to post this again.